Grenadine is a red syrup that was originally made from pomegranate juice. Nowadays, grenadine is made from corn syrup, water, citric acid and natural and artificial flavors. The name grenadine comes from the French word grenade which means pomegranate. 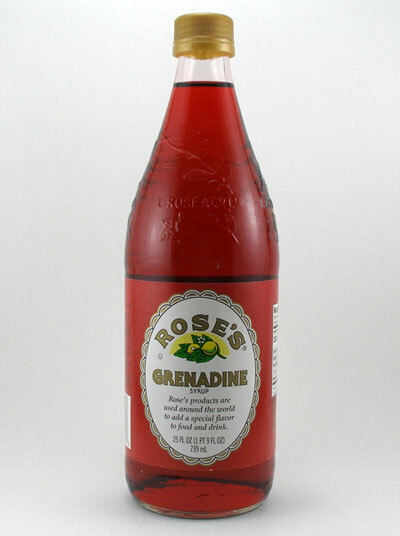 A very popular brand is Rose's® grenadine syrup.